Two-time Fireball world champion Sam Brearey has returned to the 470 for the first time in more than five years in a bid to reach the Olympics. Brearey had been sailing the Nacra class last year, but will now try to surpass London 2012 silver medallist Luke Patience as Britain's 470 leader. "Luke is still the number one choice for Rio. It's a case of pushing him hard for Rio," Brearey told BBC Sport. "And then we will look beyond that towards Tokyo and see where we are." Clavering's Brearey turned to the new Olympic class Nacra in an attempt to reach the Rio Olympics in two years' time, but was forced to quit the boat because of an ongoing back injury. He returned to the Fireball to gain time on the water and last month won the world championships for the second time. But, with the depth of Britain's 470 ranks thinning out since London 2012, Brearey will partner Rob Gullan in a boat he has not sailed since Christmas 2008 with a view to reaching Rio or Tokyo four years later. Brearey is competing in the 470 class at the Hyeres World Cup stage this week, but is struggling at the lower end of the rankings. "That back injury made sailing quite difficult for me. 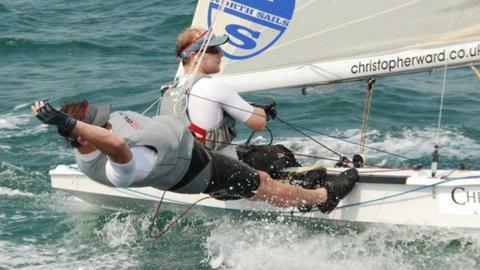 The advice from my specialist was the Nacra was too forceful on my lower back," he said. "The 470 is the natural progression for me again now. "It's still a really strong British fleet. But the 470 is a class that's maybe lacking numbers. "The beauty of Olympic sailing is that anybody can be beaten at any time. There is a long way to go to Rio. "There are certainly opportunities. Rio is a long shot, but you've always got a chance."